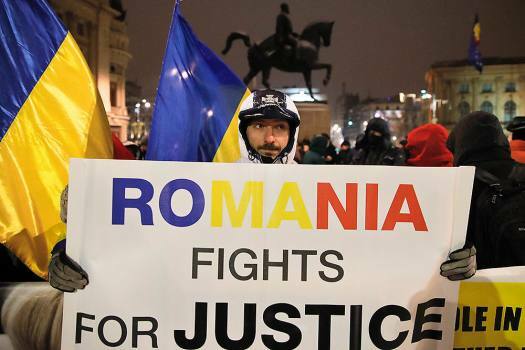 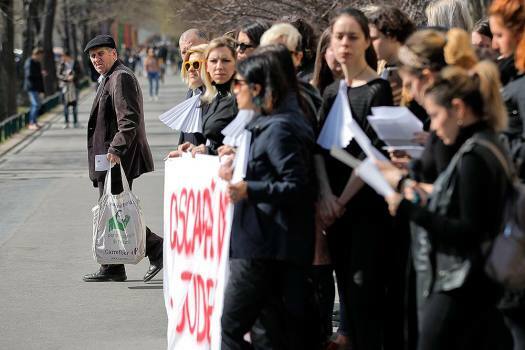 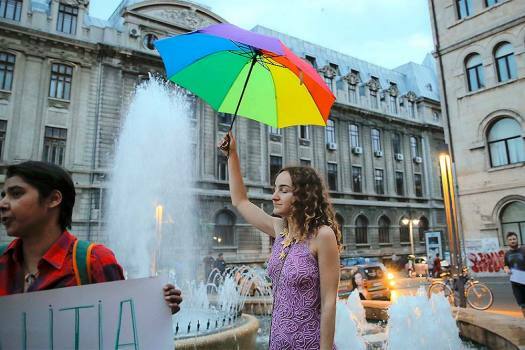 A man looks at women protesting against the judicial system for sentencing sexual offenders to small or suspended sentences in Bucharest, Romania. 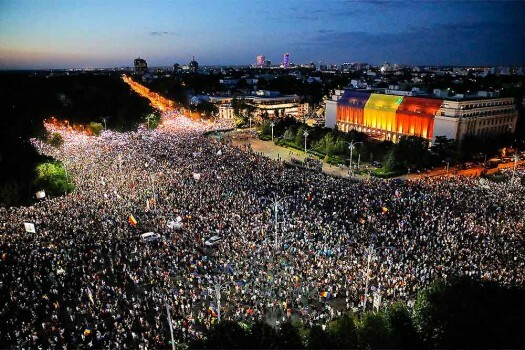 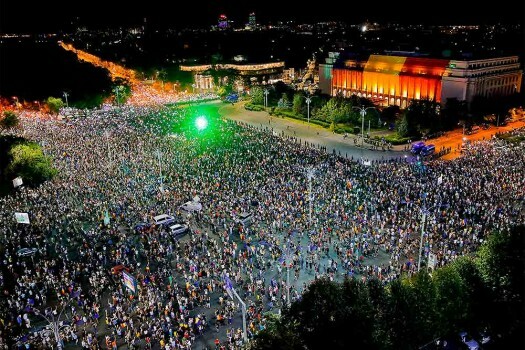 People shine lasers and the lights of their mobile phones during a protest outside the government headquarters, in Bucharest, Romania. 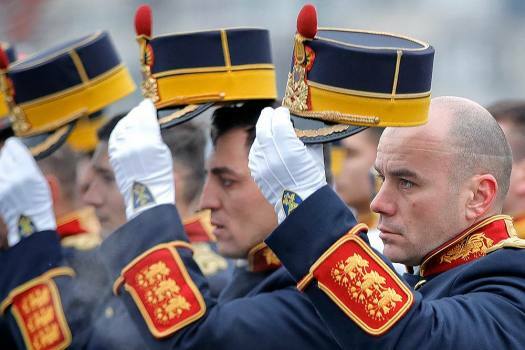 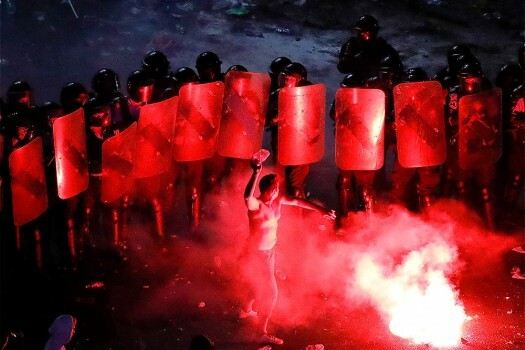 A man throws a plastic bottle at riot police during protests outside the government headquarters, in Bucharest, Romania. 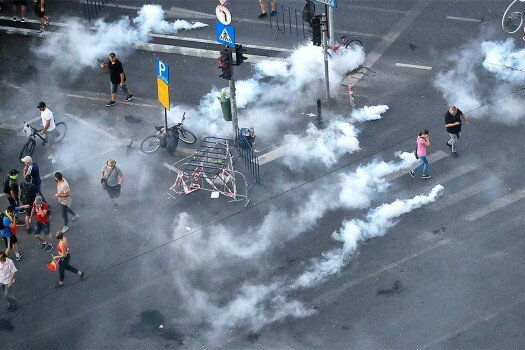 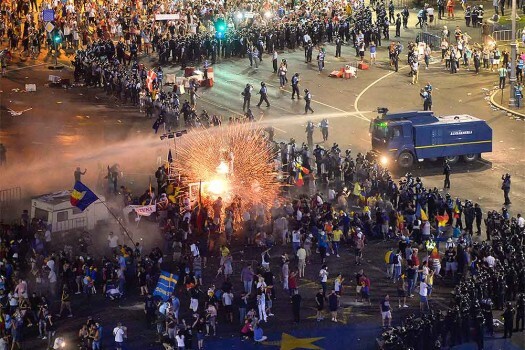 Teargas canister explode amid crowds during protests outside the government headquarters, in Bucharest, Romania. 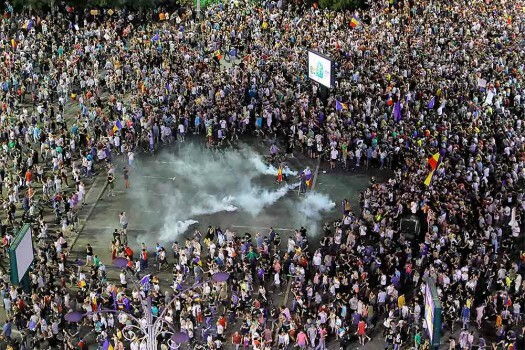 People flee after riot police fires teargas into the crowds during protests outside the government headquarters, in Bucharest, Romania. 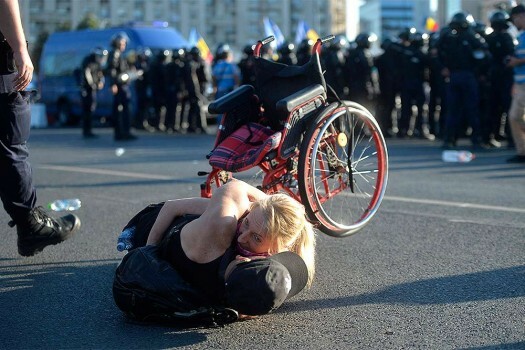 A woman hugs a man after falling out of her wheelchair during scuffles between riot police and protesters outside the government Bucharestheadquarters, in Bucharest, Romania. 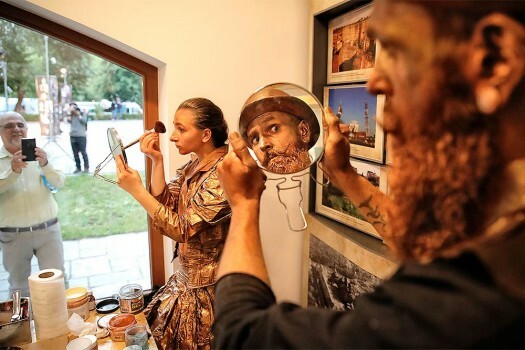 Artists of Ukraine's Artel Myth theatre apply make-up before performing in the Living Statues International Festival, in Bucharest, Romania. 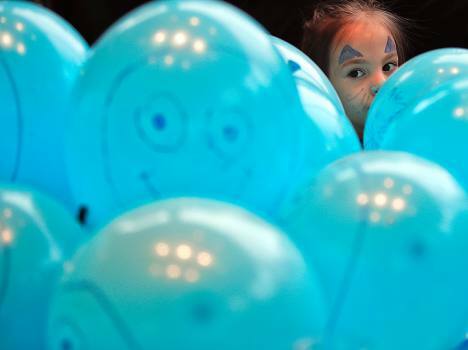 An artist of The Netherlands' Levend Theater checks her make-up during the Living Statues International Festival, in Bucharest, Romania. 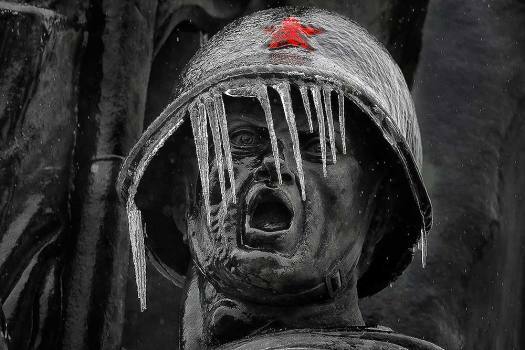 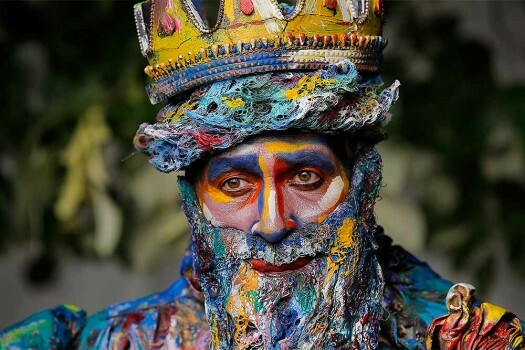 An artist of Spain's Alucinarte Animacion Teatral performs the Neptune character at the Living Statues International Festival, in Bucharest, Romania.